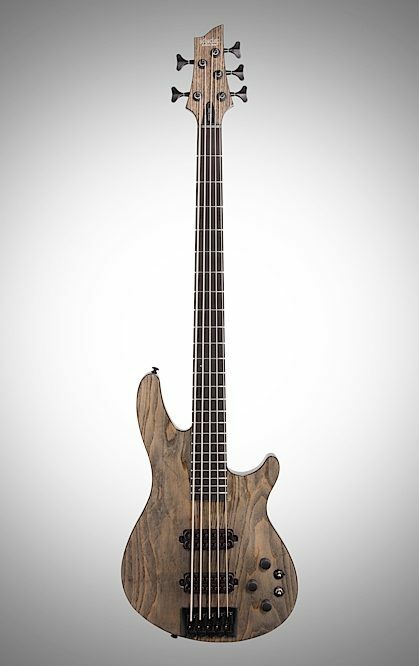 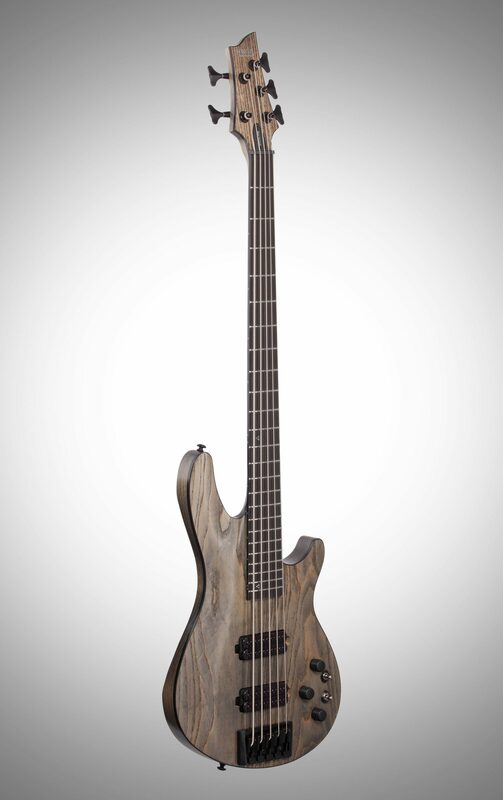 When Schecter Guitar Research debuted their Apocalypse electric guitar series, bassists demanded a bass with similar high-end specs and aggressive style, and the C-5 Apocalypse is it! 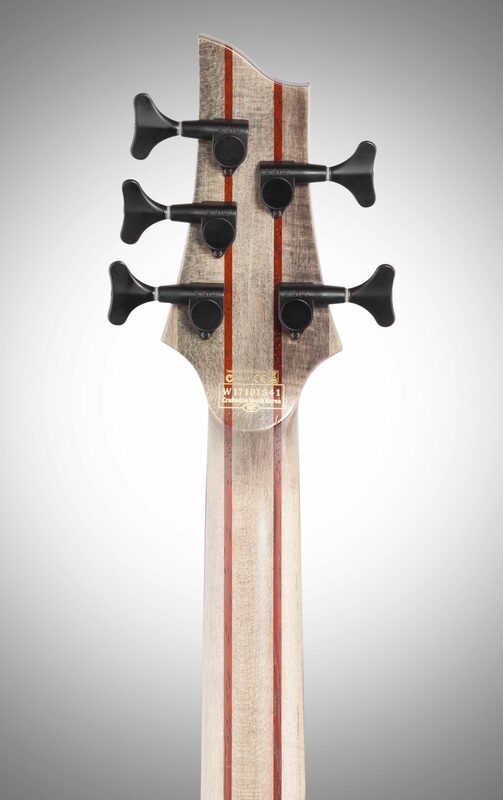 Built to withstand the Apocalypse, a 5-ply Maple/Padauk laminate neck is reinforced with carbon-fiber rods and crowned with an ebony fingerboard bejeweled with 24 stainless steel extra-jumbo frets, whose minimalist Mother-of-Pearl triangle inlays at the 12th and 24th fret and glow-in-the-dark side-dot inlays keep you on track. 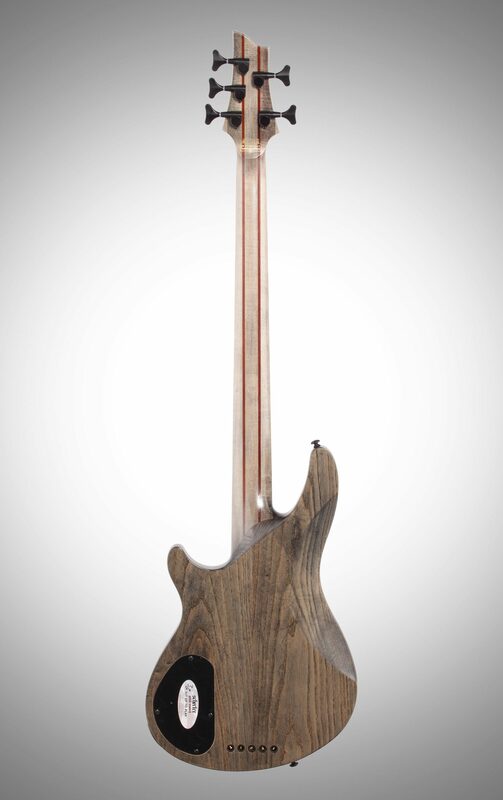 The 35" scale neck is set into a swamp-ash body utilizing an Ultra-Access neck joint for unfettered access to the entire fretboard. 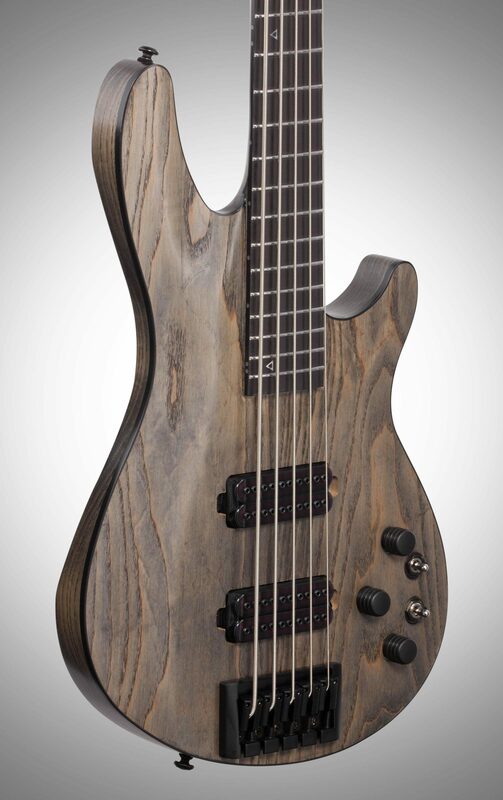 Powering this beast is a pair of Schecter US Custom Shop's Apocalypse-5 Bass humbuckers. 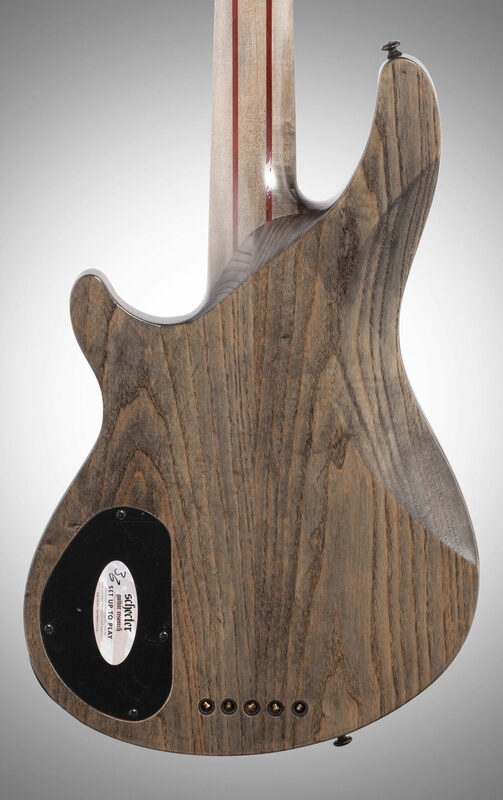 These earth-shaking, high-transparency passive pickups deliver massive slabs of warm, defined low-end tone with a strong upper-midrange presence and the punch of a meteor-impact, and are appointed with versatile individual series/split/parallel toggle-switches to allow the player to cover nearly any tonal ground. 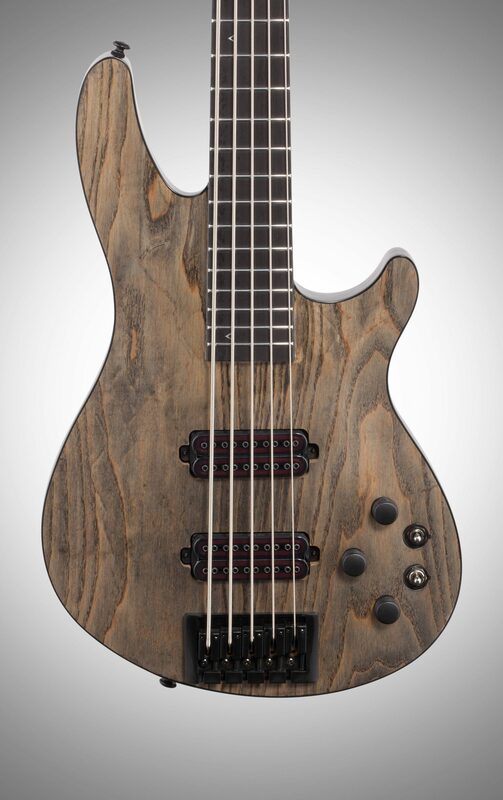 Grover 144 tuners and a Graph-Tech BlackTusq XL nut provide smooth and stable tuning, while the Schecter Custom-5 Bridge allows for either top-mounting or through-body string mounting, and efficiently couples your strings to the instrument's body for incredibly deep tones and amazing sustain. 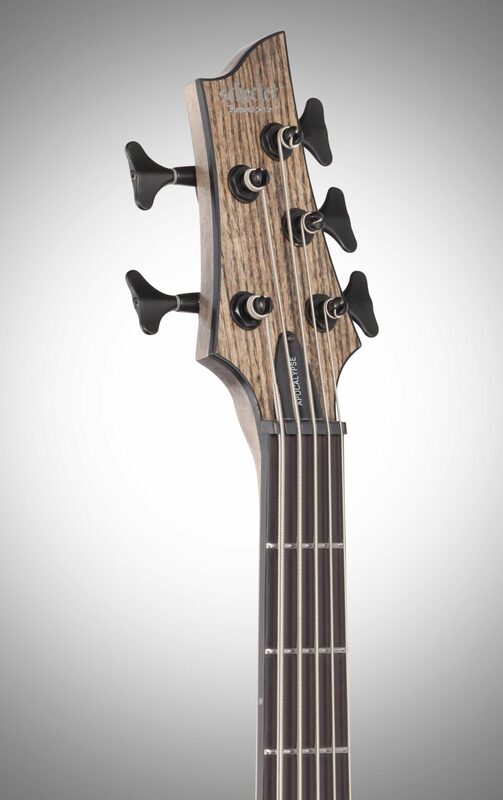 An apocalyptic Rusty Grey finish delivers a jaw-dropping look that is both hostile and elegant, and combined with its high-end performance, results in a bass that is sure to please even the most discriminating player.